The change in season is upon us. 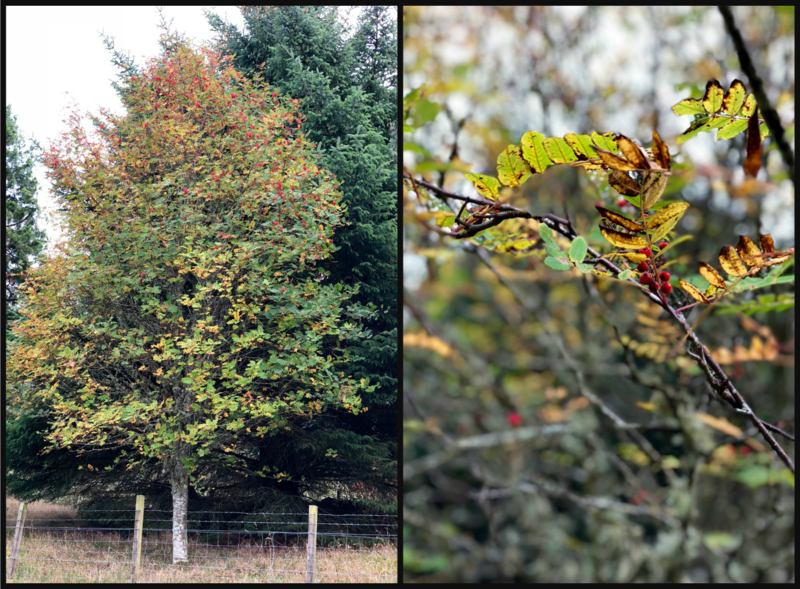 In a few weeks the whole of Logie will be a riot of Autumn colour – my favourite time of year here – but, just now, the differences are more subtle. This Sunday our whole family went for a post-lunch wander through the garden and along the Steading drive. With Panny and Alasdair (a.k.a. the Tree Experts, a.k.a. Granny & Grandpa) there to tell us about what is planted where and why, we started to notice the individual trees that are standing out from the (very large) crowd right now. We all agreed on our top 5 for right now and we’re going to go for another 5 in a few weeks time when autumn colour is at its peak and the best-looking trees have changed. Fickle aren’t we! Without a doubt, the best looking tree just right now at Logie Steading. 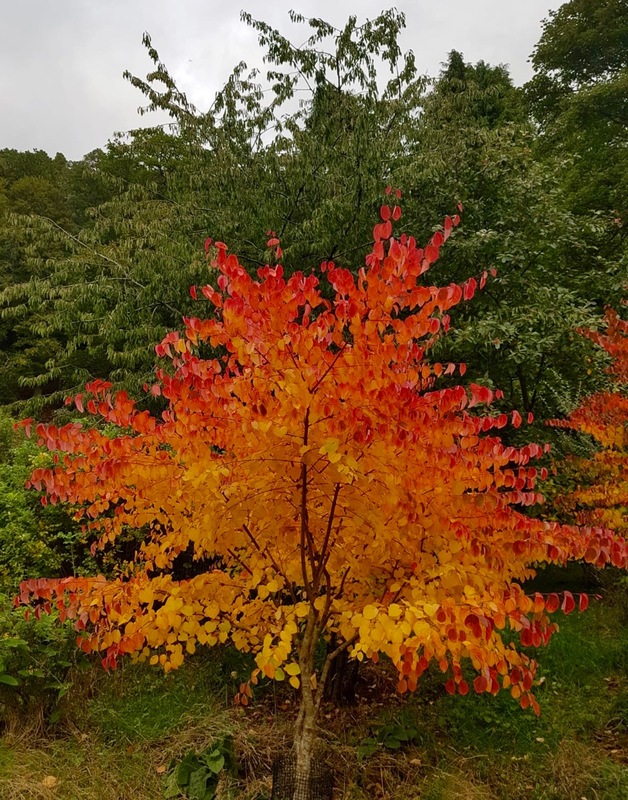 It’s flaming looks make it unmissable as you walk back from the garden towards the steading buildings on the side of the drive there. It’s non-Latin names are Katsura tree or Caramel tree (it has a delicious smell of burnt sugar) but Panny tells us it’s more commonly known by Cercidiphyllum. It won’t last looking like this for long so if you’re at Logie in the next week or so do go and have a look. Or betula albosinensis. You’ll find this on your right after you leave the garden and head back towards Logie Steading. 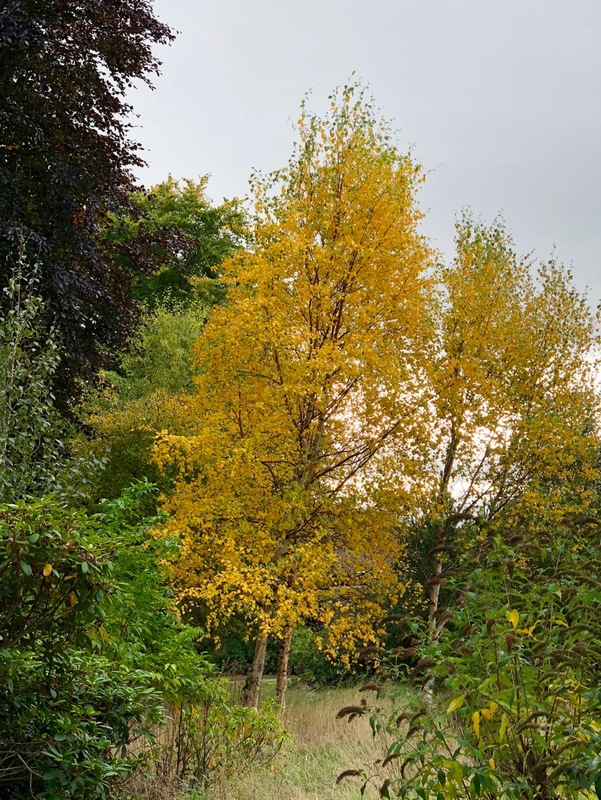 The yellow is just the autumnal side of sunshine and it looks lovely against the various shades of green and the deep Copper Beech behind. Panny tells me it’s called red due to the colour of the trunk. 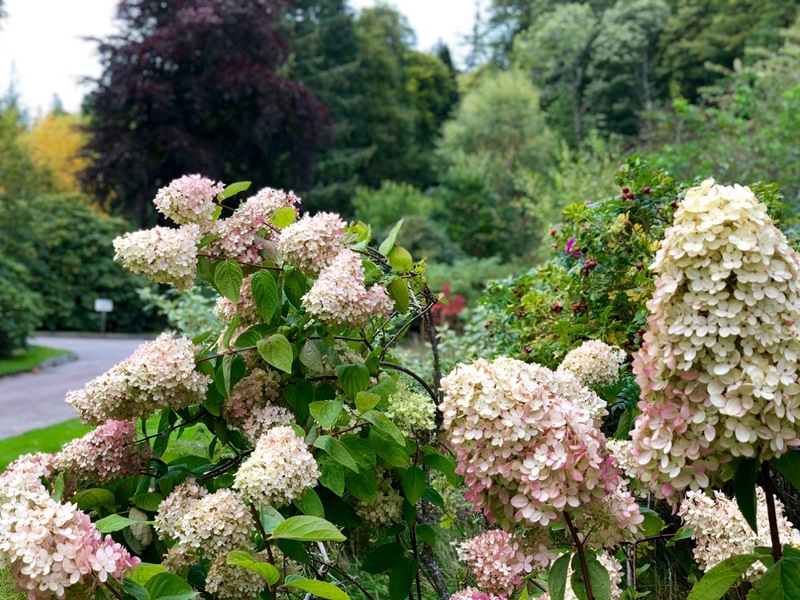 Or, Hydrangea paniculata ‘Grandiflora’. This lovely version is still flowering – it goes from white in late summer to this pinky shade in autumn. Perhaps you’d count this as more of a shrub, but it’s looking lovely enough to make the list in my opinion either way! If you’re heading away from the garden, back towards the steading, you’ll find this on your left, just after the two trees mentioned above. This trio of Ornamental Cherry Trees in Logie House Garden are flaming just now. 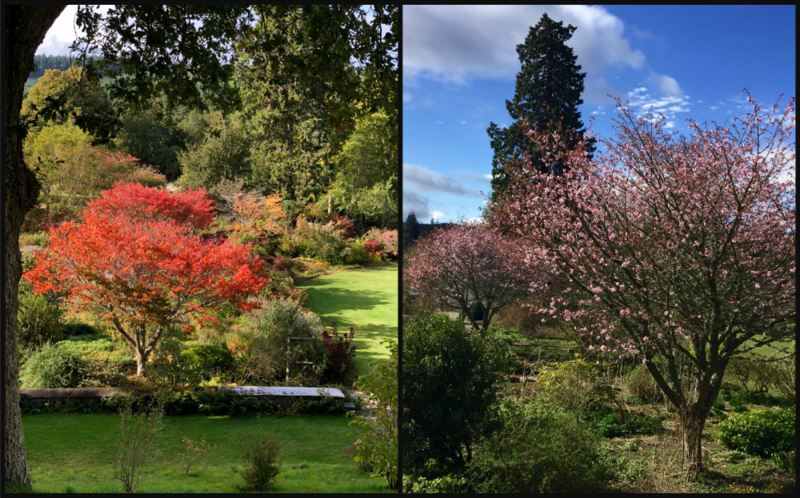 It’s a tree that keeps on giving with it’s light pink blossom in spring (right), and this fiery orange in early October. Just one example of how the colours and shapes in the garden shift – often almost weekly – through the seasons. Although the peak of the Rowan berries has passed, you will spot several around Logie Steading, still burdened with berries. 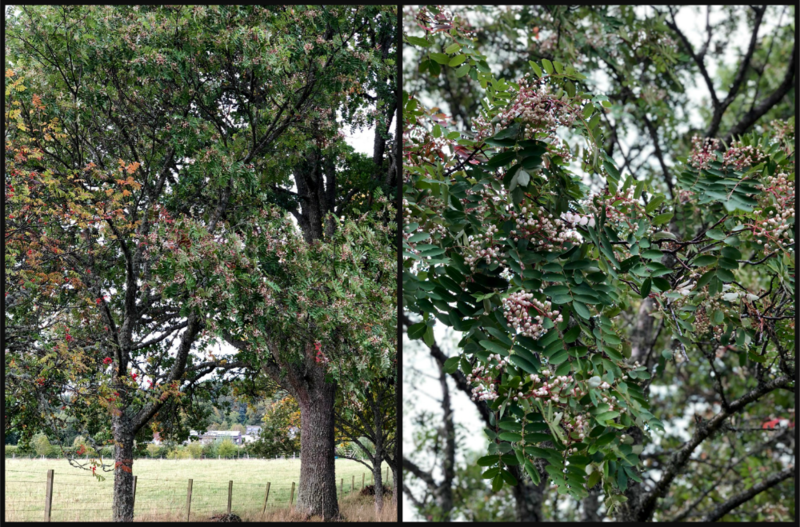 And along the drive there are even some unusual pinky-white-berried versions of the tree. Now is the time to see them, before the berries are gone and the drive is overtaken with the burnished colours of Autumn proper. Trees are a big deal in this family! 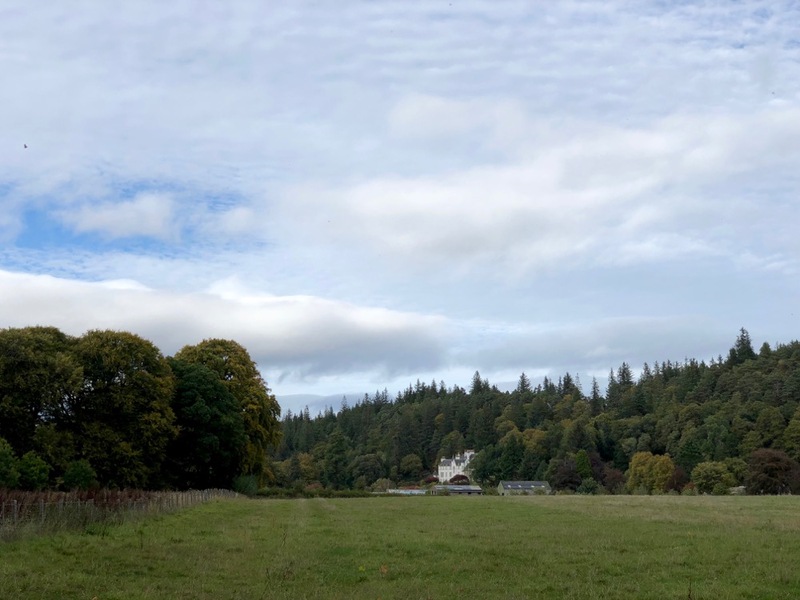 Panny and Alasdair both have a vast knowledge and interest in the subject and they have cultivated many special trees at Logie over the years. Alec’s taking the interest in trees and wood on to the next generation with the opening of Logie Timber this year. 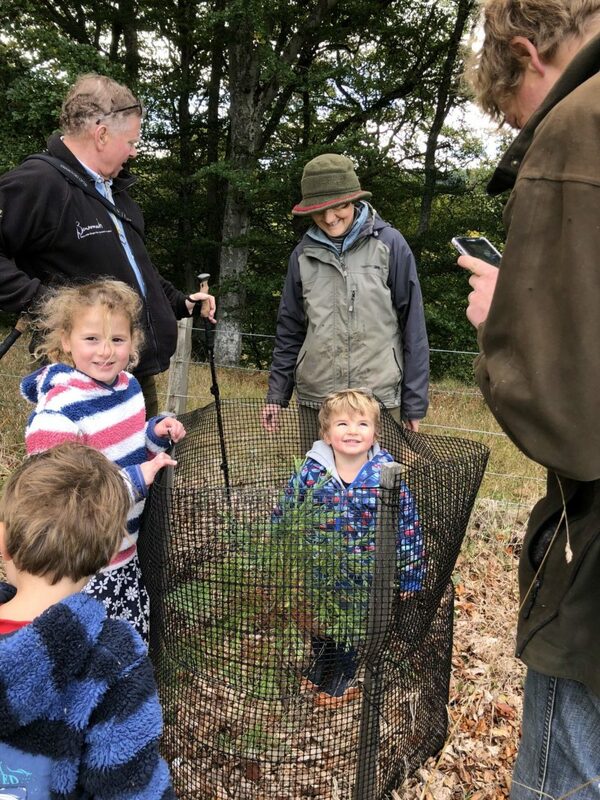 And down to the littlest in the family – Panny and Alasdair have always planted trees to mark the birth of their children and grandchildren. 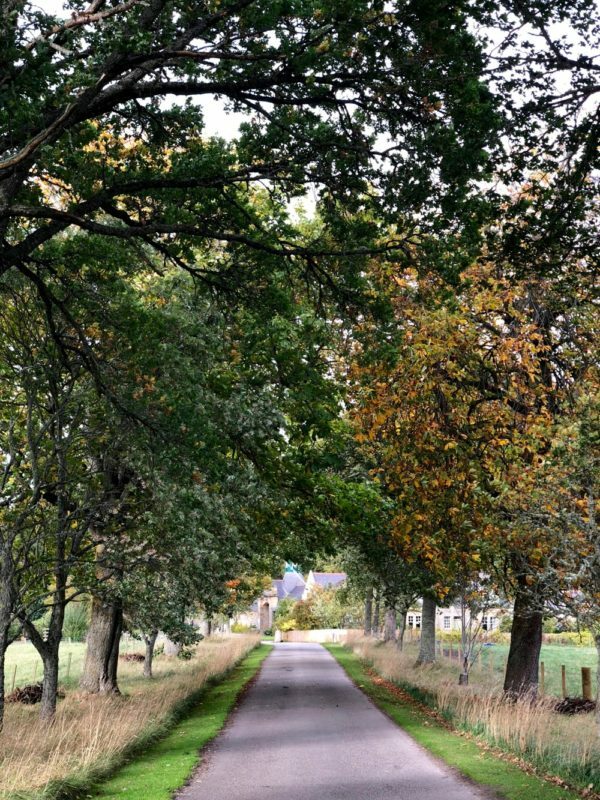 As you drive into Logie Steading a stand of trees stretches out to your left and right about half way down. The ones on the right are Freddie’s trees, and those on the left are Alec’s. Gus, the littlest, was measured against his tree (at the end of Alec’s stand) on our Sunday walk. Here’s your bonus tree! 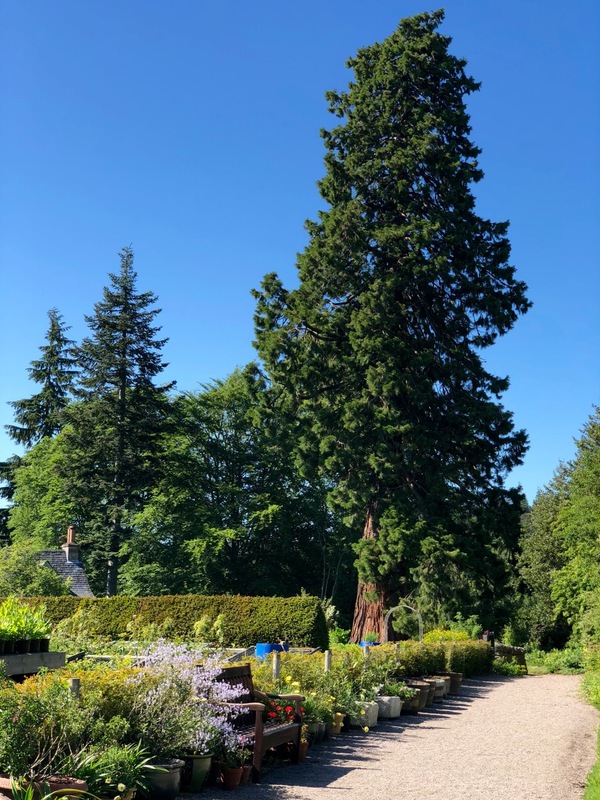 Wellingtonia or more properly, sequoidendrin giganteum. All three of our children’s trees are Wellingtonias (see Gus above with his). The earliest known Wellingtonia seed came from California in 1853. Maybe one day these little trees will be up there with the big chief of Logie House Garden (this picture, you might guess, was taken earlier in the summer).